My brother and I made this costume as well. It was made for Halloween costume contest at night clubs, bars, and cons. This costume took us a year to make including planning. We never seen one costume include an entire super hero team, so we decided to make it. It was difficult planning where all the character went and how they are combined together. This costume stood over 9 feet tall and was designed for Johnny to come off so we can get it through doors. 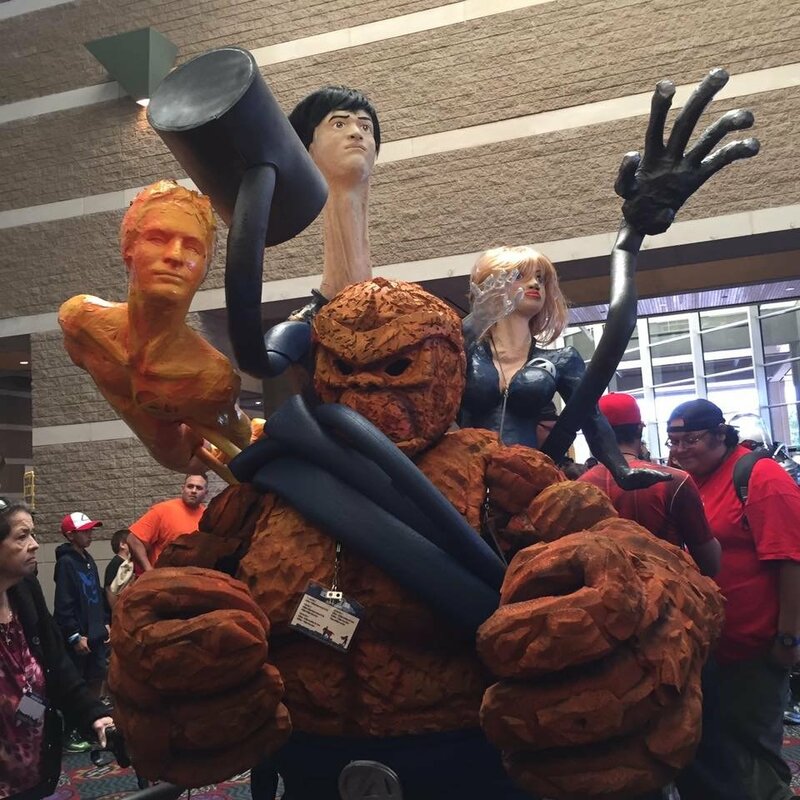 The thing was made with upholstery cushions and the helmet was made with EVA foam. The rest of the team was made with paper mache. The bodies are connected together with PVC pipes covered with pipe insulation. The upper part of the costume sit on the shoulder like a trombone. The details in the face were done with plumbers epoxy. The costume was painted with spray paint and airbrush.